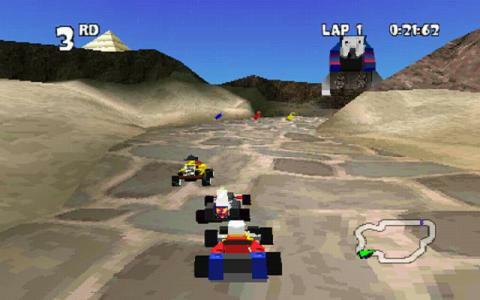 If Micro Machines is more your bag than Need For Speed when it comes to racing action, then Lego Racers should be high on your list of games to play. It's one of the earlier Lego games on the market, before the brand turned its attention to franchises like Star Wars, but it retains the sense of fun that you would expect from the company as well as its focus of building. 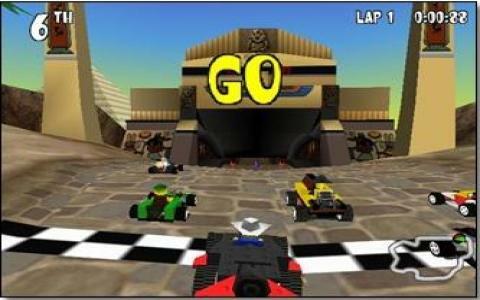 In most ways, this is a fairly traditional, if less than serious driving game, where players race around a variety of tracks, facing off against their opponents and aiming to be the victor in order to claim the Lego racing trophy. The tracks display the expected Lego craziness and which are based on the various themed brick sets available in the shops, including such delights as pirate- and Egyptian-based courses, all of which feature of appropriately styled objects and environments to race through. 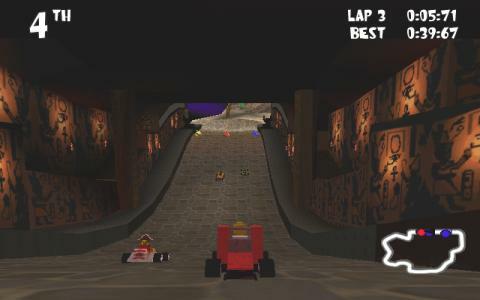 However, in sharp contrast to most driving games, here you actually have to build your car before you can race it, making use of all of the thousands of Lego bricks which were available at the time of release. It's a great addition and one which really allows player to stamp their personality on the race right from the start and it's immensely entertaining seeing how your craziest creations fare on the track. The visuals are great, full of all the Lego goodness that you would hope for and with bright, sharp characters and tracks that are just brimming with individuality, while the racing itself if fast and furious in pure old-fashioned arcade style. As far as simple but immensely enjoyable driving games go, this is tough to beat. 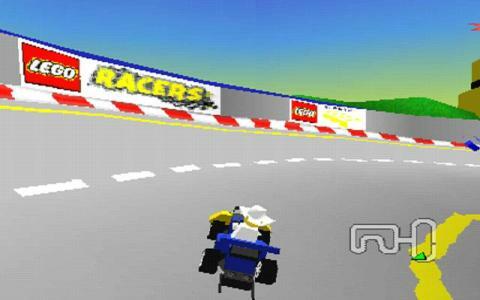 Lego Racers is a great racing game, arcadey, full of action and very exciting. I was thinking that it might be too inclined to only ensnare children, but after a few races, boy, was I hooked! 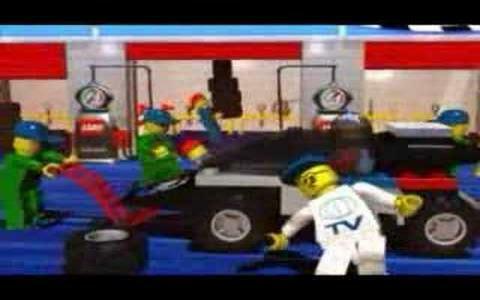 The game has a portion that allows you to customize your vehicles, evidently by using Lego bricks, and then it's off to the races. The environments have a tendency towards cartoony, but the Lego cars and characters feel very welcomed in this type of space. 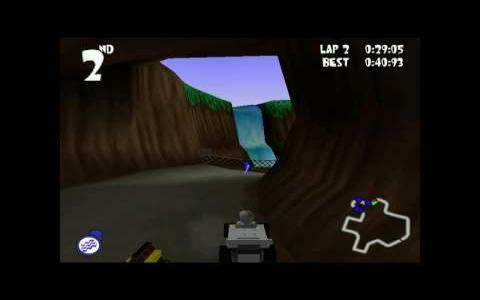 So, without a doubt, you're going to have an extra good time racing, trying to maintain your position while the troublesome contenders will tail you and try to take your place. There is a lot of bumping and a lot of cutting one's way in this game, it is not a clean game, but it is ok, this is not a sim, it's a pure bred arcader. Still, the feeling of speed, control or lack of it is very well captured, and you never feel that the game doesn't respect your need for fluency and for a well captured feel. 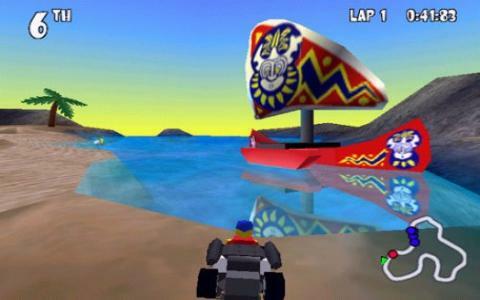 Returning one more time to the graphics, I have to laud the game's take on its tracks and invite you to give it a try. Cartoony arcade racers this good are rare and this one is certainly worth a revisit, even if it's not a classic or a retro game yet.